On Oct. 25, Haitian people went to the polls to elect a president, members for both chambers of the legislative branch and local officials. From Haiti to the last corner of the world, national and international officials praised Haitian voters for their patient, their motivation and their enthusiasm to use their votes to give their country a new leadership. There were also reports of fraud. Priliminary results of the Oct. 25 presidential elections from the CEP HAITI official website states, candidates Jovel Moïse, the governing party, (PHTK, @moisejovenel) 32,81percent, Jude Celestin whose polls showed was the front-runner before Oct. 25 ( LAPEH, @JCelestin2016) 25,27 percent (Keep in mind according to reports, Mr. Celestin, former President Rene Preval’s hand-picked presidential candidate, might have been the winner of the 2010 presidential elections. ), Moïse Jean Charles (Pitit Dessalines, @moisejncharles) 14,27 percent, Dr. Maryse Narcisse (Fanmi Lavalas, @Dr_M_Narcisse) 7,05 percent, and the other candidates received between 3 percent to 0 percent of the popular vote. Here, is my take: from the very beginning, it was clear we will have a second round to elect President Michel Joseph Martelly’s successor. I think now, we should let the candidates discus those results before a special court. The way things happened in 2010 must not occur the same way in 2015 for the sake of a better Haiti. The international community should stay away from the discussions. Let Haitian people handle their business. Thank you. 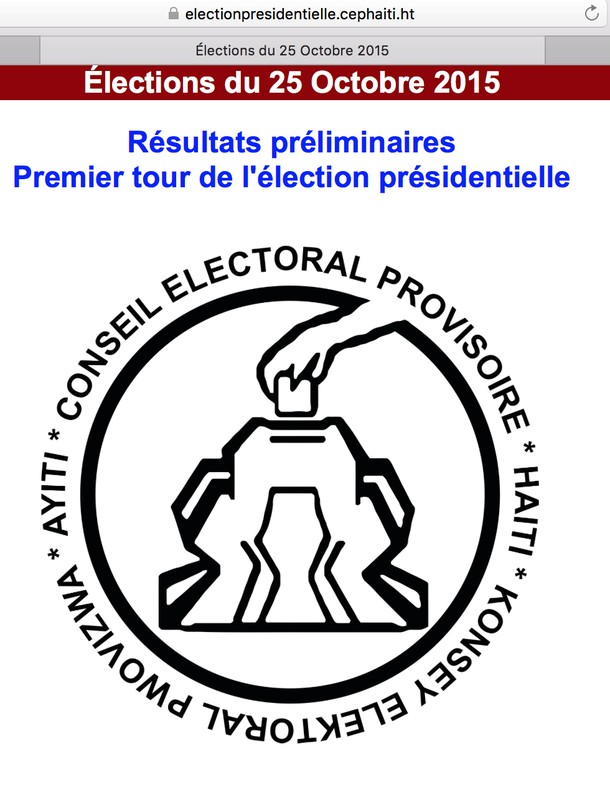 Click this link CEPHaitiresume-presidentielle to see the partial results of the Haiti’s presidential elections. Will Vice President Joe Biden Enter the Race?